Take Exit 39. Take a right at the end of the ramp. 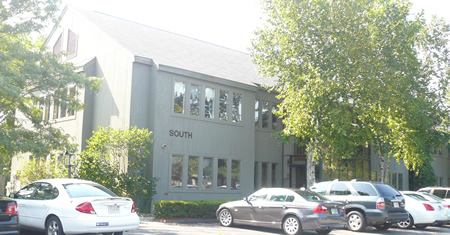 Follow road approximately 2 miles toward North Reading, you will go by an Industrial Park. Continue to follow road until you come to a stop sign. Bear right. You will see a set of lights, and three identical green buildings on the right, this is Park Place. Take a right before you get to the lights. I am located in the East Building, second floor, Suites 103. Take Exit 39B, Reading/Rte. 28. Follow road for several miles. You will pass a Home Goods Store on your left. The next set of lights, turn left. This is Park St. We are the second driveway on your left. I am located in the East Building, first floor, Suites 103. Linda Hanson of Hanson Elder Law and Estate Planning Center provides legal counsel and legal advice in the areas of Elder Law, Estate Planning, Tax Planning, Healthcare Proxies, Living Wills, Power of Attorney, Probate Administration, Trust Administration, Wills, and Bankruptcy. Hanson Law Center supports clients through Northeastern Massachusetts and Southern New Hampshire. Linda T. Hanson is an attorney at law and counselor at law who represents clients in and around Boston, Massachusetts, including the communities of Andover, Boston, Brookline, Beverly, Cambridge, Danvers, Haverhill, Hamilton, Ipswich, Lawrence, Lynn, Lynnfield, Medford, Middleton, Newburyport, Newton, North Reading, Peabody, Reading, Salem, Topsfield, Wakefield, Essex County, Suffolk county and Middlesex County.